“Mircom is confident that the integration between Metis and Desktop Alert will position the platform for greater expansion in its market segment and increase customer reach in a shorter period of time, simultaneously facilitating enhancements to both platforms. As part of the acquisition, Desktop Alert Inc. has assumed existing customer relationships and Metis projects and will continue supporting the Metis solutions and product portfolio,” said Mark Falbo, President Mircom Group of Companies. Metis Secure Command Center software enables control, integration, and automation of emergency communications, life safety, and security systems at your facility or campus. It provides operational control to these systems from on or off site, via internet browser or mobile device. When integrated with your site's existing communications devices--such as IP phones, digital signs, computer screens, and PA speakers--the Command Center acts as the hub for your Emergency Communications Information Management (E-CIM) system. 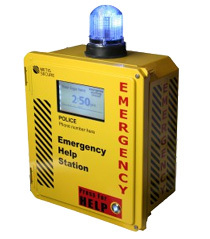 MS-5100 and MS-6100 indoor and outdoor Emergency Help Stations provide a fast and effective communication link to strategic site locations. They enable you to broadcast multi-modal emergency alerts—including voice directives, flashing lights, sirens, and text on the built-in LCD screen. They also provide built-in, inbound help call functionality--via two-way, hands-free, live voice—between people in need and security personnel or police. Each Help Station is battery-backed and acts as an independent wireless network node, forming a redundant communications and power network that helps ensure that the system still works even if phone, power, and internet fail in a crisis. For those who need a discreet way to signal for help, Metis Secure offers a line of software and hardware-based panic buttons, plus a mobile panic app. “We are pleased with the addition of Metis Secures’ Solutions to our portfolio of mass notification products and services. Metis Secures’ technology insures less than 10 second alerting to all emergency command centers. When lives are at stake, seconds count. Common area alerting for personal safety requires instant two way LIVE voice capability. It is a must. 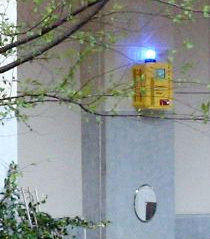 Beacon alert technology with limited LED text message screens and text-to-speech speakers without bi-directional real-time voice is limited in an active emergency. Reading an alert is one thing, communicating by voice during an active emergency is a must. Our family of alerting systems now provides this fabulous common area alerting end-point solution,” said Howard Ryan, Founder Desktop Alert Inc.